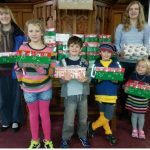 Operation Christmas Child is a great way to show God’s love to a child-in-need at Christmas. Reminding them that they aren’t forgotten! 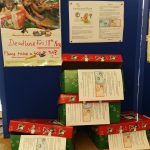 Operation Christmas Child is run by the Christian charity – Samaritan’s Purse – the largest Christmas project in the world that has sent gift=filled shoeboxes to disadvantaged children around the world since 1990 – over 94 million children! 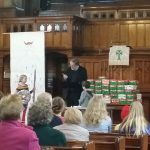 Every year Christ Church participates in this wonderful project and on Sunday 20th November, we held a special children’s service and rounded off the project with a message about David and Goliath highlighting that God can help us defeat the huge problems that we often face in life. All it takes is faith and God’s support for a small thing to defeat a huge thing!